In a Nutshell: When it comes to credit, more than a few people have discovered that one mistake leads to another, and another, and another — until there’s no recourse except to turn to a high-interest payday or auto title lender. Fig Loans exists to break that cycle. Its Credit Builder reverse loan product doesn’t offer customers with bad credit money today, but offers them something more important — an opportunity to improve their credit score and build a better future for tomorrow. Fig’s Credit Builder and its work with nonprofits and community organizations help people reclaim their credit and their dignity. In the Tennessee Williams play “A Streetcar Named Desire,” Blanche DuBois declares that she has always depended on the kindness of strangers. 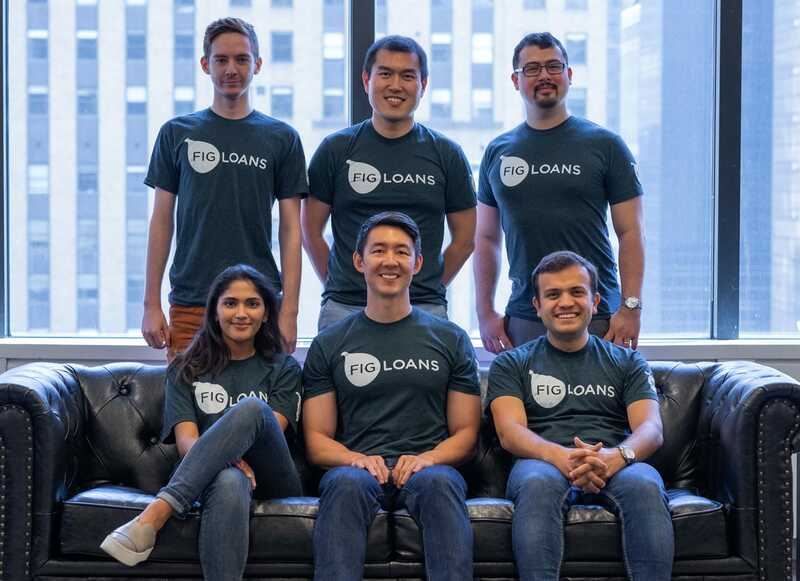 While that’s certainly not the best advice on which to base your personal welfare, for Jeff Zhou and John Li, co-founders of credit startup Fig Loans, the kindness of strangers set them on a path of innovation and social commitment in financial services. In 2014, Jeff and John were graduate business students working on research and grappling with the painful reality of the payday loan industry — particularly in Texas, where the practice was big business. How, they wondered, could a market exist for loans charging interest percentages in the high hundreds when the prevailing prime rate was 2% to 3%? The answer to the question was simple: Payday loans exist because they can. Jeff and John cold-called about 50 Texas nonprofits in search of financial coaches who could teach them about the effects of payday loans on consumers and communities, with an eye toward building a business that could offer a more affordable alternative. And the effort was to no avail — until a single stranger accorded them a kindness. Zara Mohidin, Head of Strategy and Business Development at Fig. Jackie introduced Jeff and John to colleagues within United Way THRIVE, a coalition of businesses, educational and financial institutions, and public agencies built around the mission of helping people achieve financial independence. 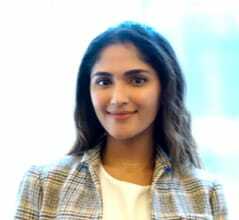 “We were very lucky that we got connected to the United Way, to the right people who had the right experience in dealing with victims of predatory lending,” Fig’s Head of Strategy and Business Development Zara Mohidin said. Out of those collaborations, and with support from United Way of Greater Houston, and another organization, Family Houston, Fig Loans was born in late 2015. All because Jackie picked up the phone. Over time, however, a different need arose — not for money today, but for the opportunity to build credit for tomorrow. New immigrants to the U.S., students from families with no credit history, and many others who weren’t immediately vulnerable to payday predation wanted a tool to help them move forward in a way that meshed with their aspirations. Fig’s Credit Builder eliminates such obstacles. Because there’s virtually no risk on Fig’s end, nearly everyone who applies gets approved. After the recipient selects a manageable loan amount of $500 or $1,000 and pays a one-time account-opening fee, the loan is held by a third-party bank while the recipient makes monthly payments, including a small interest percentage, for a year. Upon completion of payments, the loan principal is released to the customer. All along the way, Fig reports to the three major credit bureaus. The advantage of a Credit Builder loan over a traditional Fig installment loan is that the loan amount is greater and the payment period longer, which results in a bigger credit score improvement. When it’s appropriate, it’s a better deal. “Building our own Credit Builder flowed along our trajectory of creating market solutions to this unique financial problem that lower-income folks without credit face,” Mohidin said. Fig started in Texas and has since expanded to Missouri, Utah, and Illinois. Plans for expansion to Ohio, New Mexico, Wisconsin, and Florida are in the works. Credit Builder currently operates only in Texas, but Fig hopes to eventually take it nationwide. Meanwhile, Fig has other irons in the fire. With its Fig36 initiative, Fig now offers its tools — risk models, loan management software, and functionality for credit reporting, regulatory compliance, and customer service — to other organizations to use. Fig partners with nonprofits, businesses, and community organizations to offer Fig36, a loan management platform that can help more people build their credit score. “That’s been great for us because we’ve been able to really jump-start the community credit-building process,” Mohidin said. One partner, Dallas-based anti-poverty organization CitySquare, issues loans so clients can pay old traffic tickets and parking violations — citations that prevent them from holding a driver’s license. “We’re giving them the tools and technology for managing a new kind of financial program to help their clients get out of poverty and have some sort of method of transportation, so they can get to and from their job,” Mohidin said. Fig36 is currently in limited beta and available only in Texas. For nonprofits and others there, however, the program can help minimize the burden employees often face when developing a new initiative in their community. As Fig36 expands, it also promises to extend the reach of Credit Builder — and vice versa. Given the role kindness from strangers played in the formation of Fig, it’s not surprising that kindness is built into the Credit Builder product as well. That’s because Credit Builder isn’t a “gotcha” loan designed to take advantage of customer slip-ups. Fig reports monthly loan payments to help build the customer’s credit score. If a payment is missed, the loan is closed and the principal paid is returned to the customer so as not to harm their credit report and score. Living up to its B Corp mission, Fig’s Credit Builder helps low-income consumers transition to more mainstream credit products that bring even more personal benefit and potential for boosting community well-being. Fig helps build tighter-knit, more productive communities by helping individuals in difficult financial situations circumvent the downward spiral often associated with short-term, high-interest credit. For Jeff and John, the payday dilemma was “one of those burning things that just stays on your mind,” Mohidin said. They stuck with it until Jackie did them a kindness. And they’ve been paying that kindness forward through Fig ever since.